On 19 June 2013, SWP (German Institute for International for International and Security Affairs) presented their latest research paper entitled “Fault Lines of the Revolution – Political Actors, Camps and Conflicts in the New Libya”. The panel attempted to deconstruct some common misconceptions and to give an overview, as objective as possible, of the situation in Libya. The participants insisted on the existence of a multitude of actors, which is probably the heart of the difficulties encountered by Libya in its reconstruction process. Indeed, the negotiations on new institutions, on Security Sector Reform (SSR), as well as on a new administrative organisation, are hampered by this multitude of actors with diverging interests. These discrepancies are not only the result of the division between Islamists and Seculars; there is also a division between the various Libyan regions and cities, but also between men and women. The situation in Libya was characterised as ‘dynamic’; the stakeholders wish to influence Libya’s political life, aim to be part of the Libyan authorities or even to take control over resources. Unfortunately, the current government in Libya is too weak to balance these different interests. How to support stabilisation in this context? Two lines of approach were offered: either military strength to respond to armed groups, or a national dialogue between different actors. For sure, the second approach is preferable. However, how can national dialogue be established? The question remains. The discussion moved on to the issue of Libya’s borders and to the role of the European Union in securing them. ISIS Europe is particularly interested in this important and complex issue, and recently published a paper which marked the launching of the civilian CSDP mission EUBAM Libya (“EUBAM Libya: story of a long-awaited CSDP mission”). In response to concerns raised by some participants about the lack of determination of the EU’s mission, it was recalled that the EU’s ambition was not to solve the issue at Libyan borders in a direct way, but rather to provide training and assistance to Libyan authorities. To this regard, it is necessary to pay attention to the level of expectations. It is impossible for the EU to control 4,000 km of border line and securing them is expected to be a long process. The main obstacle in the establishment of EUBAM Libya is on the Libyan side, as the government is not able to take a decision. 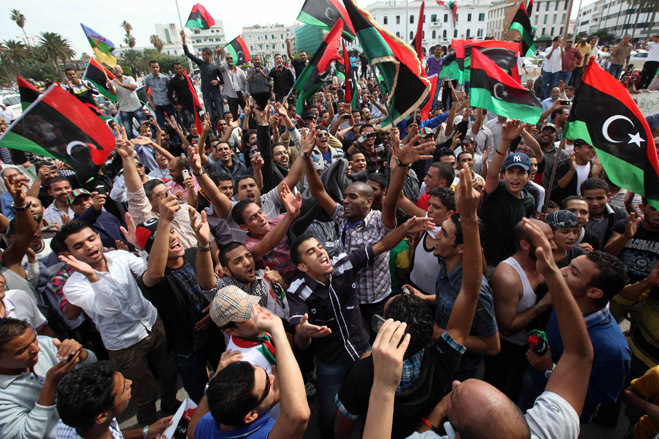 The question of security at Libyan borders raises the broader issue of SSR. On this point, the panel and the participants reflected on the opportunity to tackle the root of the problem: arms control. Again, this is not a miraculous solution but this point probably deserves to be deepened. This entry was posted on 20/06/2013 by ISIS Europe in Conferences, Lorène-Fara Andrianarijaona and tagged CSDP mission, EU Crisis Management, European Neighborhood, Libya, MENA.